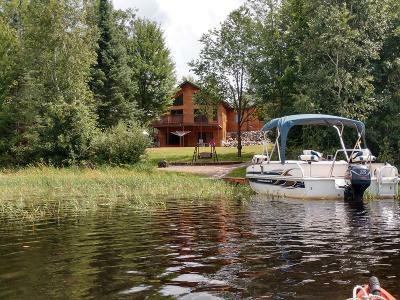 SPIRIT FLOWAGE WATERFRONT HOME/CABIN: Wonderful custom built chalet 3 bedroom 3 bath home with partially finished lower level walkout providing plenty of natural daylight on both levels of the home. Open concept living with vaulted T&G Tamarack ceilings is visually stunning. Main floor master suite plus 2nd bedroom & 2nd full bath. Lower level has 9&apos; ceilings with 3rd bedroom with private entry to 3rd bath as well as entry from the finished family room, and 2nd laundry hook-ups. Other amenities thru home include oak crown molding, 6-opanel doors, patio doors/windows opening onto large lakeside deck/patio, plentiful kitchen cabinetry & butcher block island. Central air ready as well as radiant heat ready in lower level. Large mudroom connects to 2+ car garage with 11&apos; end walls & large overhead door. 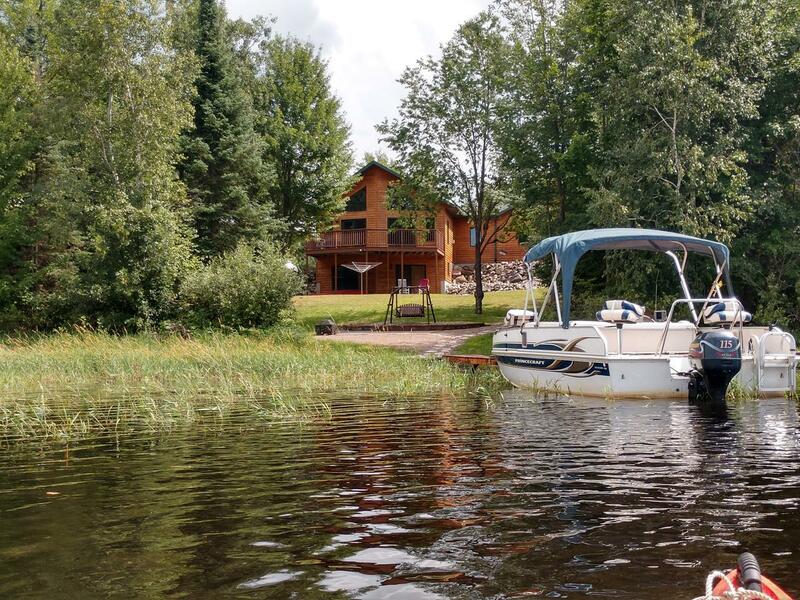 Comfortable lake living and ATV right from your door. And property is TURN KEY!